Paris (AFP) – Geoengineering schemes designed to deflect some of the Sun’s planet-warming rays would backfire if suddenly discontinued, wiping out species and entire ecosystems, a study published Monday warns. “Rapid warming after stopping geoengineering would be a huge threat to the natural environment and biodiversity,” said co-author Alan Robock, a professor at Rutgers University in New Jersey. Half-a-century’s worth of warming could rebound in a handful of years, dooming many amphibians, mammals, corals and land plants to local or global extinction, according to the findings, published in the journal Nature Ecology & Evolution. So-called solar radiation management — still untested — would inject billions of tiny particles into the upper atmosphere to bounce a bit of sunshine back into space, lowering Earth’s surface temperature a notch or two. Sometimes nature does the same: more than 15 million tonnes of sulphur dioxide thrust into the stratosphere by the 1991 eruption of Mount Pinatubo in the Philippines cooled the planet by more than half a degree Celsius (one degree Fahrenheit) for about two years. Advocates of the controversial technology say it could provide a quick and cheap fix for dangerous global warming, which has already begun to wreak havoc. With an increase of only 1 C (1.8 F) so far compared to pre-industrial times, the world has already seen an upsurge of deadly heatwaves, droughts, and storms amped up by rising seas. The 197-nation Paris Agreement, adopted in 2015, enjoins the world to cap global warming at “well under” 2 C, and even 1.5 C if possible. But efforts to achieve these goals by reducing greenhouse gas emissions have stalled, leading scientists and policy makers to seriously consider engineered solutions seen only a decade ago as far-fetched. For the study, led by University of Maryland professor Christopher Trisos, scientists tested solar geoengineering scenarios in computer models. They assumed that planes will spray five million tonnes of sulphur dioxide a year into the stratosphere at the equator over a period of 50 years, from 2020 to 2070. Humanity, meanwhile, continues to curb carbon pollution, but not quickly enough to cap global warming on its own. The models show Earth’s average surface temperature dropping by about 1 C, effectively erasing the increase since the mid-19th century. 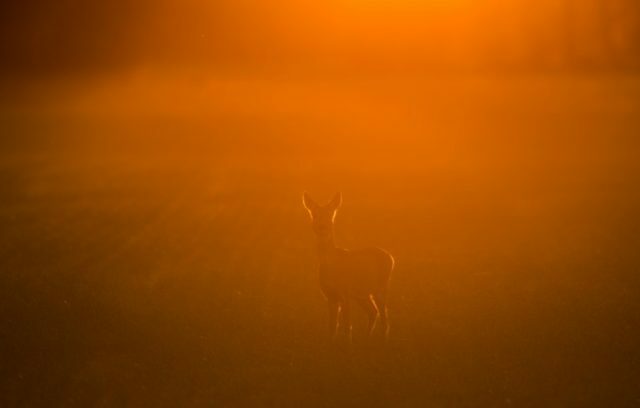 But how will wildlife cope, the scientists asked, if Sun-dimming were to stop abruptly, leading to a temperature increase ten times faster than if geoengineering had not been deployed? The researchers calculated how quickly animals and plants would have to move to stay within a hospitable climate. Many creatures, they found, would be unable to migrate quickly enough, especially amphibians and land mammals. Plants have even less capacity to migrate. It gets worse: In many cases, wildlife would have to go in one direction to find a liveable temperature but a different one to find the right amount of rainfall. Harvard professor David Keith, author of “A Case for Climate Engineering,” did not challenge the potential dangers for biodiversity, but told AFP he could not imagine the world’s nations abruptly halting solar radiation management — a scenario sometimes called “termination shock”. All this speculation assumes that solar engineering is feasible, which has yet to be proven. “If solar radiation management is unworkable, we need to know now,” commented Ben Kravitz, a climate scientist at Pacific Northwest National Laboratory in Washington and an expert on geoengineering. “What terrifies me is that people are gong to start relying on it, and then we find out later that it is not going to work and we are already locked in,” he told AFP by email. But that doesn’t mean solar geoengineering should be taken off the table, he other scientists caution. Even the study authors agreed. “Given current emissions trajectories, it would be irresponsible not to study the potential benefits and costs of proposed climate engineering,” they wrote. Keith and Harvard colleague Frank Keutsch plan to conduct preliminary atmospheric tests in the Arizona desert this fall, but any conclusions are years away, they said.